These days blogging has become the best way to create an individual website and to express your thoughts and ideas over the , when it comes to decide which blogging platform suits you the most,the choice becomes more difficult. 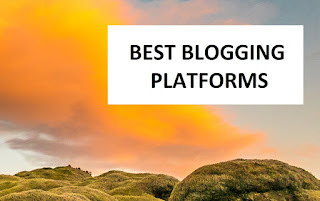 The following article will discuss top 5 blogging platforms and will explain all their abilities to make your decision for choosing the platform you need easier. Blogger, also known as blogspot, is one of the well-known blogging platforms of the world. It was created in San Francisco, in 1999 and now is owned by Google inc. Blogspot is not aimed for starting a professional blog. It is a basic and simple tool that is perfect for beginners and those who just want to post photos, videos, their thoughts, information and links. This platform offers a variety of amazing free premium themes and advanced plugins to its bloggers. It is free, open and has simple design and layout. 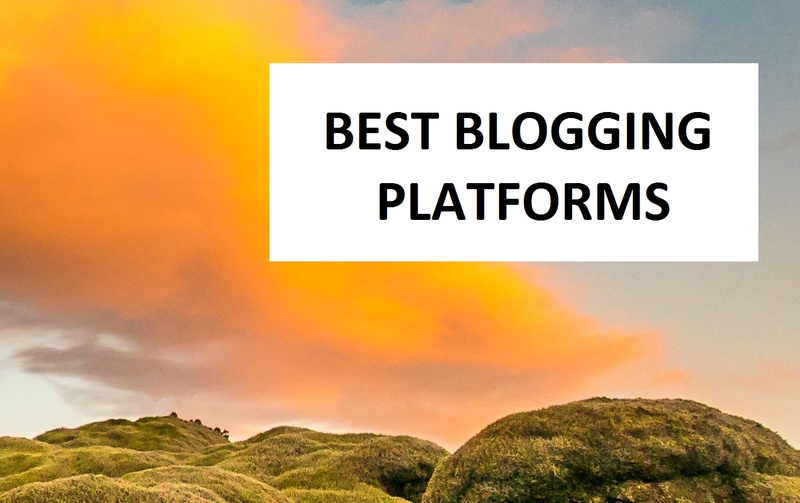 Another very popular blogging platform is . It is a very customizable platform designed for both beginners and professionals. The platform offers several easy-to-use themes and tools. It is absolutely free, available for everybody and enjoyable. It is also an open-source platform. It means that bloggers can add features, widgets, applications and add-ons which can be used for customizing the blog in actually limitless ways. There exist two kinds of Wordpress blogs: self-hosted and hosted by wordpress. Tumblr is a microblogging platform and is also one of the favorite ones. It was created in 2007 by David Carp and now is owned by Yahoo Inc. Tumblr offers several cool features that have very easy-to-use interface and layout and a range of options that allow sharing. It has become favorite especially for photo bloggers and those who love to share audio, video or voice files. Besides, you can link your Tumblr to your Twitter or Facebook profile, which will enable you to update your social media feeds in a single location. And one more amazing feature of Tumblr is the ability to create community-powered group blogs. Tumblr additionally offers support for several third-party apps like Google Analytics and Feedburner. ggfinaces is a new and growing blogging platform. It started in 2012 by two friends Vladimir Harutyunyan and Khachatur Grigoryan. At first it was decided to be a financial portal and then the idea developed and changed into creating a blogging platform. It is mainly connected with finance, trading and investment. Professional bloggers can start and prosper their business in this platform. The blogging platform offers several good themes and tools and has everything for creating a special financial blog. The surprisingly easy way of operating will give you pleasure to make your site appealing and interesting. Weebly is a free blogging platform with extremely cool and easy tools. Besides offering blogging, it also allows you to build a fully featured website. It is a free platform, with simple and pleasant tools. Weebly is also a designer platform and has many cool features as drag and drop options, video/audio maps, image galleries, slideshows, etc. This platform is really a powerful site creator. Here it is surprisingly easy to make a high-quality site, where you will proudly share anything. Blogging is really a pleasant and fun way to spend your time. All you need to do is to choose which platform is suitable for you and your taste. It may even become your hobby and maybe one day you will make income out of your favorite hobby.